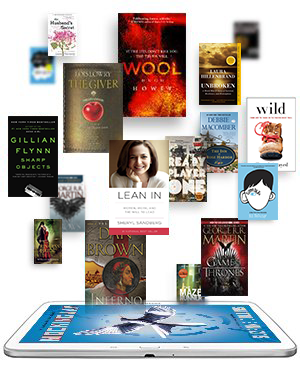 Read Everywhere with our Free Reading Apps. Open the app and sign in with your Amazon account. With Amazon's Whispersync technology, you can automatically save and sync your furthest page read, bookmarks, notes, and highlights across all your devices. That means you can start reading a book on one device, and pick up where you left off on another device. Easily shop for eBooks and read the first chapter for free before you decide to buy. Read thousands of free books including popular classics like The Adventures of Sherlock Holmes, Pride and Prejudice, and Treasure Island. 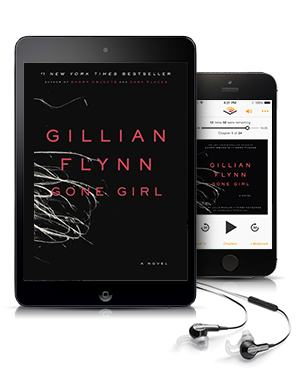 Once you buy a Kindle book, you can download your books on any device with the Kindle app and read them anytime and everywhere. Adjust the text size, change the screen's brightness, choose your background color, and read in either portrait or landscape mode. Tap and hold any word in a book to view the word's definition with the built-in dictionary or use the Google or Wikipedia links to get more information. Organize your books, docs, and magazines into categories with a few easy taps. 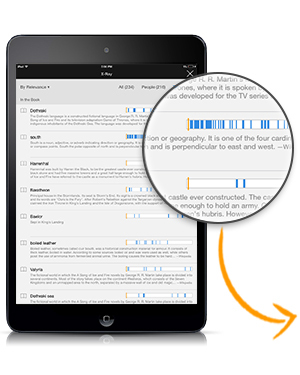 Tap on any page as you read to access X-Ray, an easy way to uncover more from the books you love. Instantly find chapters and locations that mention ideas, characters, and important places, as well as background info, biographies and more from Shelfari and Wikipedia.